Will RTD Create Transit Discounts That Work for Everyone? A working group sets out to design a discount fare program that's not "oriented toward affluence." More people would use RTD buses and trains if they had a fare pass in their pocket that was both affordable and easy to use. But RTD’s discount pass programs, like the EcoPass for businesses and CollegePass for students, are not available to many low-income residents and steer would-be riders away from transit. Those are the takeaways from the first of 11 RTD roundtables aimed at creating a pass program that works for everyone. The Pass Program Working Group, comprised of elected officials, RTD staffers, and advocates for transit, workers, and public school students, met yesterday in Boulder. In other words, the people who would benefit most from fare discounts usually can’t get them, simply because they’re not affiliated with a larger organization. Meanwhile, employees of businesses that offer transit passes often don’t even claim the benefit, members of the working group said. Pass programs should not just focus on the roundtrip to work or school — they should incentivize transit trips for every purpose, she said. RTD leadership is concerned about how changing the pass programs will affect its bottom line. The Board of Directors voted last month to cap its pass program for nonprofits that distribute free and discounted passes to people in need. And yesterday, RTD General Manager and CEO Dave Genova said repeatedly that “fiscal sustainability” must be the “basis” of any new pass program. Losing fare revenue would mean less money in the budget to run buses and trains — and no one wants that — but discount fares could also create a net gain in revenue. Advocates think the RTD can create a smarter discount pass program that results in a win-win. If the lower fares draw riders who wouldn’t have chosen transit otherwise, the agency will come out ahead, said Will Toor, the director of transportation for the Southwest Energy Efficiency Project. Toor watched RTD’s pass programs develop in his old job as mayor of Boulder. He said the agency should concentrate on tapping latent demand for transit — all the butts that aren’t in seats, but could be. “A bus that has 30 people on it where you’re getting a couple dollars of revenue from each one of them is bringing in significantly more revenue than a bus with five people on it, with each person bringing in four dollars,” Toor told the working group. Boulder has put some skin in the game. 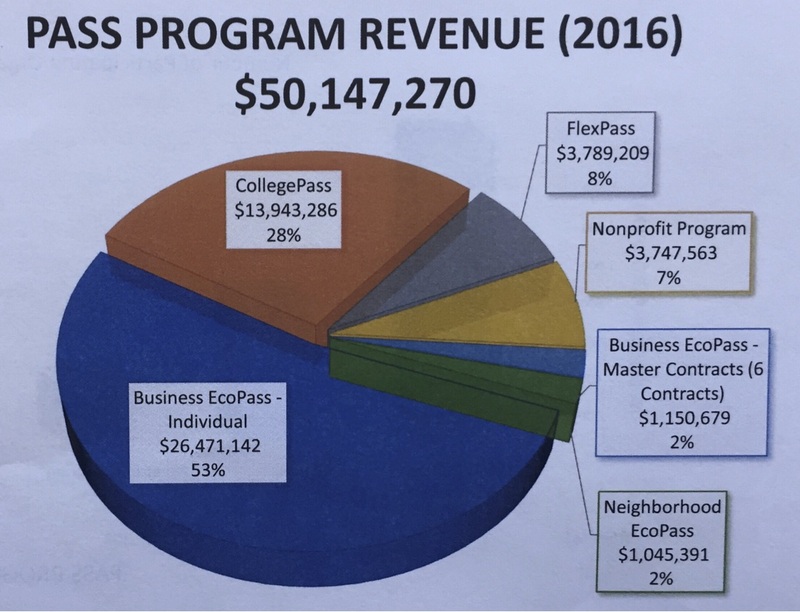 Every downtown city employee — about 6,000 people — gets offered a free EcoPass, subsidized with downtown parking revenues, said Scott McCarey, the multimodal division manager for Boulder County. “The city recognizes that it’s important for people to use transit to induce ridership onto transit, so they’re willing to take public tax dollars and subsidize the EcoPass,” McCarey said. A county-wide fare pass for everyone in Boulder would boost transit ridership by 62 percent, maybe more, according to a 2014 study. After the discounted EcoPass and CollegePass were introduced, ridership increased significantly, Toor said. Excellent idea!! Why not encourage cities to do this rather than burdening RTD? I’d also argue to “transfer” the RTD district general sales tax to a gasoline tax. To get the same revenue on a gas tax only, the rate would have to go up substantially. 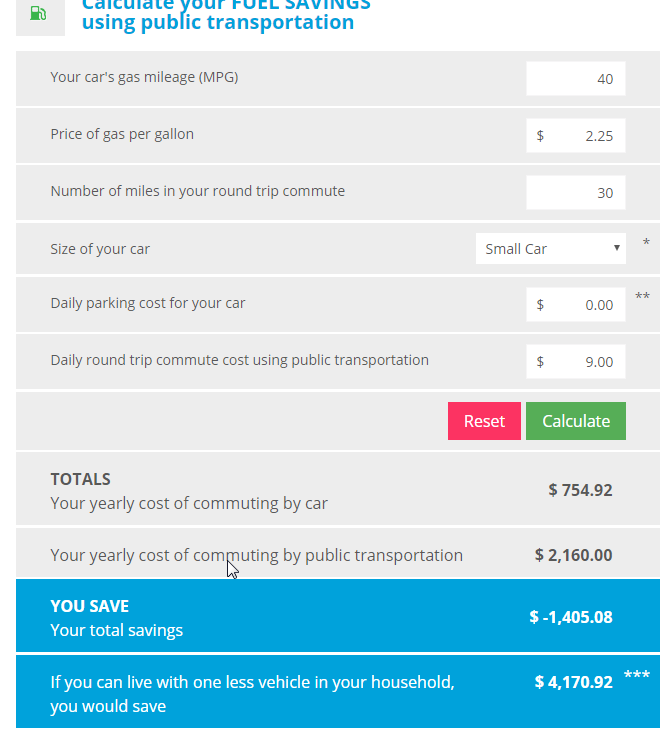 The idea is to differentiate the cost difference of driving versus RTD, Yes, it would make driving more expensive but RTD more cost competitive. On the upside your general sales taxes would go down. Using their own calculator, RTD is shown to be a failure and cost prohibitive. My parking? I do not use car parking. Great article. I’m really intrigued by this. I’m looking to start a business near a mass transit stop that could employ 50-100 people who would take advantage of a transit pass. The pricing structure and implementation can make a huge difference. Why not include a fee in property taxes for every business and/or residence within a 1mi radius of every rail station or a designated core area that will enable every employee/resident to obtain an EcoPass? Or is that DOA?